Taiwanese pre-election rallies expressed support for increased trade relations with mainland China initiated by president Ma but critical voices warning about overdependence remain. Several thousand people waved banners and chanted in Taiwan's capital Sunday [21 November 2010] to express their support for President Ma Ying-jeou's policy of engaging China ahead of key elections later this week. Ma's Nationalist Party and the pro-independence opposition Democratic Progressive Party are battling for control of five of Taiwan's biggest cities in Saturday's [27 November 2010] mayoral elections, which could provide significant momentum for the 2012 presidential race. The DPP is considered to be a shoo-in to win in Tainan and Kaohsiung - key parts of its southern heartland - while the Nationalists are given the advantage in the central city of Taichung. Taipei and Xinbei in the north are seen as toss-ups. Some participants in Sunday's rally said they support Ma because of improvements in the economy and in political stability since he began increasing exchanges with China. "My company's revenue has grown substantially this year," 38-year-old civil engineer Lin Shu-tien said. "President Ma's effort to allow more Chinese tourists to visit has created more job opportunities and given us more business." Liu Shu-chun, a 45-year-old elementary school teacher, said she is very happy with Ma's China reconciliation efforts. "Now I feel we are enjoying a more peaceful environment and we can live here without worry," she said. Taiwan and China split amid civil war in 1949. 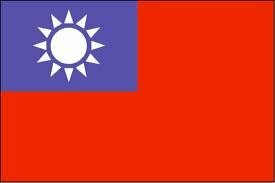 Beijing continues to claim the island as part of its territory and threatens to attack if Taiwan moves to formalize its independence. Since taking office in May 2008, Ma has backed several trade deals with China, bolstering Taiwan's sluggish economy and reducing tensions between the two sides to their lowest level in six decades. The DPP says Ma's efforts risk damaging Taiwan's sovereignty and economy by making the island overdependent on China's markets.